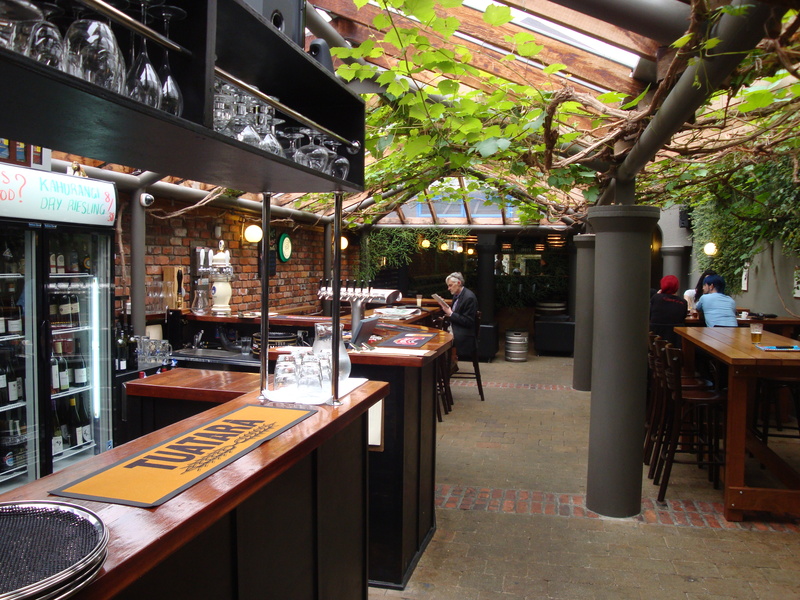 In “Our Favourite Places” feature, the Jesuit acts as editor for a series of short reviews of bars, breweries and beer drinking venues from across the archipelago. 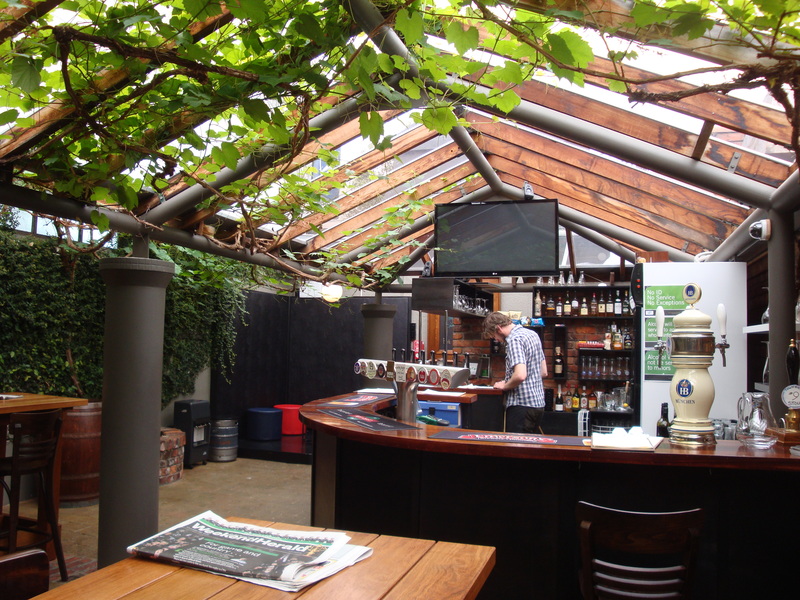 Location: If you’re prepared to brave the chilly wind tunnel that is Kent Terrace, you can find the Hop Garden at 13 Pirie Street, tucked into the lower edge of Mt. Victoria, and “conveniently” adjacent to the Kent Terrace KFC[i]. The joint occupies a building that for many, many years operated as Greek Taverna Kosmos, an occasionally rowdy family restaurant of the Hellenic persuasion. Since late last year, it’s been evolving into a distinct ecological niche, catering to the intersection of craft beer buffs and mid-range foodies. Ambience: Despite a paint job to the outside of the building and some interior remodelling, the building’s cod-Mediterranean origins are still apparent in the exposed brick, glass ceiling and associated grape vines. 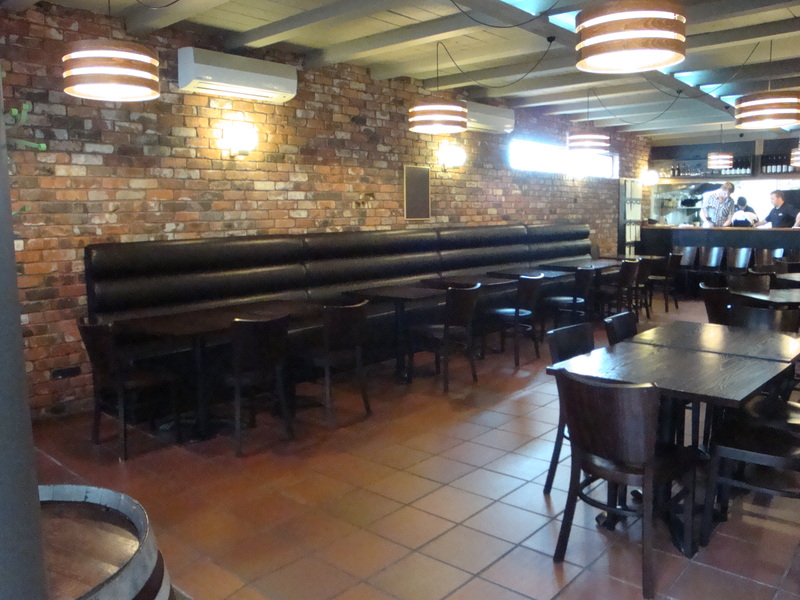 Overall, it’s a venue with plenty character and plenty of space, a small but pleasant exterior courtyard. 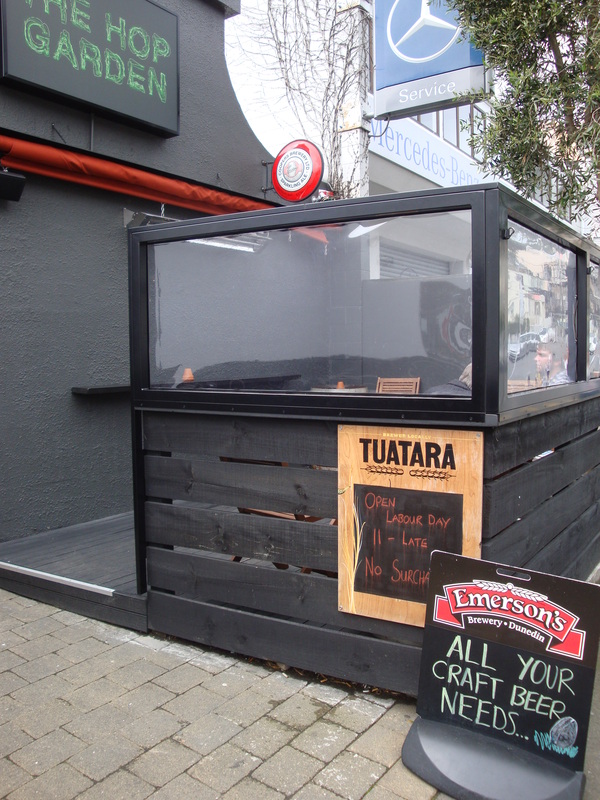 Management promises some kind of upstairs beer garden over the Summer months, which sounds like a really good idea. Let’s hope the Wellington weather co-operates. 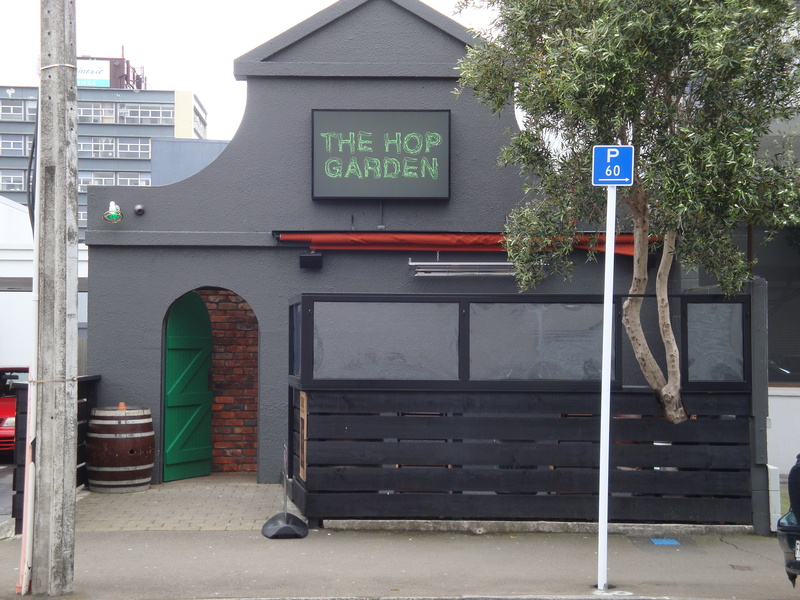 Beer: With twelve taps, including a hand-pull, and a few dozen bottle beers, the Hop Garden offers sufficient variety for every palate. Indeed, the relatively modest number of taps – compared to say the Fork & Brewer or the Taphaus – means a higher rate of turnover hence even more variety and freshness. The tap selection usually includes both established favourites like Emerson’s Pilsner and Bookbinder as well as newer delights from lesser known and/or emerging brewers. 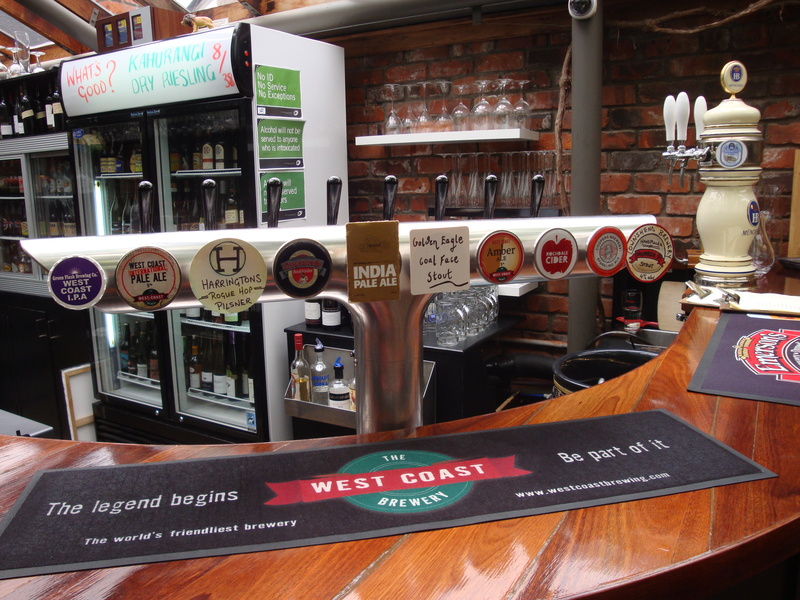 The bottle selection covers all the key styles, relying mostly on New Zealand craft brewers but with a healthy number of Belgian ales and the odd American Pale Ale or Stout. Food: HopGarden’s key point of difference from other stations on the craft beer pilgrimage is its emphasis on food. They offer what looks like a pretty interesting dinner menu, as well as small plates/tapas, and a highly respectable brunch selection. The flagship among the small plates menu remains the widely praised Salt & Pepper Squid but other offerings particularly the pork ribs and the potato skins with weissbier aioli sit equally happily with a well poured pint. Caveat: Although I’ve had eminently satisfactory brunches a couple of times and can recommend the waffles, I’ve never had dinner here and would welcome any comments from those who’ve had the pleasure. Staff: Aside from the Manager (and long-time Enabler-to-The-Thirsty-Boys) the estimable Scott Boswell, you won’t really encounter the kind of hard-core beer nerds behind the bar that you’ll run across at the Malthouse or Hashigo Zake but most are polite, helpful and reasonably well-informed. I’d give them three and a half out of five Boy Scout Badges[ii] (but Scotty on his lonesome counts for 4½ so there’s some kind of averaging/statistical thing happening here). Clientele: Locals, Millennials, young gentlemen with plaid shirts and beards, the occasional band of wandering ragamuffins, e.g. Thirsty Boys. Webtastic? : There’s a website that’s kept up to date a couple of times a week. The design’s a little busy for my liking but you can find both full menus and beer and wine lists with no trouble at all. 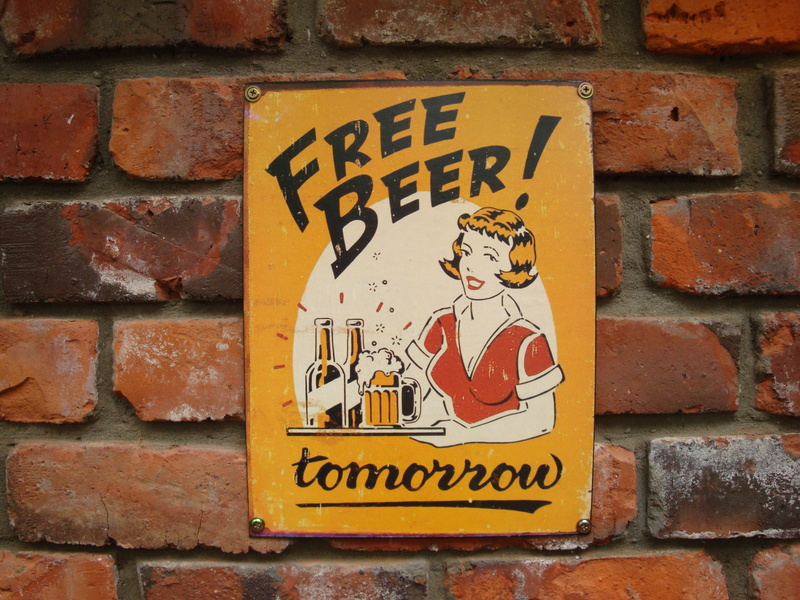 Hop Garden also has a frequently updated Facebook page and Twitter feed that mostly duplicate each other but do let followers know when notable brews and dining specials become available. Summary: Unlike its Newtown stable mate Bar Edward (see Greasy Lightbulb’s review below), the Hop Garden has ambitions beyond being a better than average neighbourhood bar. Aside from the impressive food offer, the range of tap beers is well-chosen, changes frequently, and is occasionally quirky in the best way. It’s also a genuinely congenial environment whether for a quick pint or marathon session as stamina dictates. [i] Convenient for Malice, that is, but only for the next couple of weeks. [ii] Boy Scout Badges is a Thirstyboys™ measure of worth previously used to grade Session Beers but can be applied to pretty much anything else not covered by Man Points.